Standard Machine Co., Inc. and Raybar, Inc.'s extensive manufacturing ability combined with more than 30 years of experience with metal processing offers customers unsurpassed product development. Since its beginning in 1976, John and Robert Susen have grown Standard Machine and Raybar into a first class precision machining and thread rolling operation thriving with 70 employees proudly producing more than seven million custom component manufactured parts annually. At Standard Machine and Raybar, quality is our first priority. Standard Machine and Raybar are quality management system ISO 9001:2015 certified assuring standards of quality are met through proper production processes. As quality focused companies, Standard Machine and Raybar utilize state-of-the-art quality inspection programs to lock in quality precision machining. Our 46,000 square foot Saukville precision machining and thread rolling facility, 30 minutes north of Milwaukee just off of I-43, includes CNC Machining and Turning Centers, Automatic Screw Machines, Centerless Grinders and Thread Rolling Machines. Known for outstanding quality custom machining work, Standard Machine and Raybar offer custom precision machining experience and expertise few machining manufacturers can match. At Standard Machine and Raybar, we are focused on maintaining our competitive advantage to better serve our customers. Standard Machine and Raybar are committed to creating a partnership with our customers by providing quality, on-time delivery and continual improvement at competitive prices. We combine the right machining equipment with the right certified staff to provide you with the best custom machining solution. From prototype to production, Standard Machine and Raybar precision machining experts will work with you to develop your custom precision machined parts. 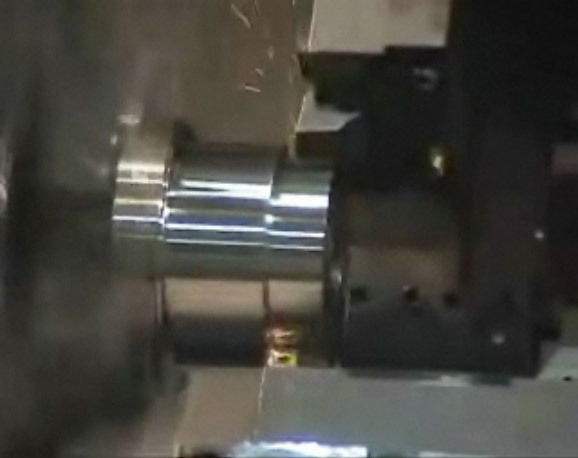 If you have a machining problem, Standard Machine and Raybar have the custom machining solution. For complete custom precision machining solutions with outstanding quality, contact Standard Machine and Raybar, trusted precision machining manufacturers, to request a precision machining and thread rolling quote. Call 262-375-0040 today for a quality focused precision CNC machining or thread rolling solution. Standard Machine and Raybar machine stainless steel component parts used in the manufacturing of ice cream, grill, slushy and smoothie machines delivering successful machining solutions to refrigeration and fast food OEM nationwide. Standard Machine and Raybar produce alloy component parts used in the chains of mining conveyor systems and produce similar precision machined component parts manufactured for amusement park rides, elevators and harvesting crops. Standard Machine and Raybar produce component parts for multiple national lawn and turf manufacturers delivering the custom components to drive success. Standard Machine and Raybar produce component parts for the hydraulic industry. Copyright 2019 Standard Machine and Raybar Online. All rights reserved.